Your blossoms really set off that blue blue sky (I think it is the same one we had here ;>)!) I love Spring and your flowers are really more typical of the season than mine. It is like white veil against the blue sky! Beautiful white flowers against blue sky. You took my breath away with this one, Carver!! Beautiful blue, blue skies are the perfect backdrop for those gorgeous white blossoms!! Absolutely breathtaking!! Have a great weekend!! Beautiful layers of Spring against a lush blue sky. Lovely. Gorgeous blue sky and a lovely tree. The blossoms are beautiful...Have a great day and Happy Easter! Those white blossoms radiate beauty and are a stunning contrast with the blue of the sky. Lovely flowers that makes me think of fluffy white clouds in a blue sky. The stark contrast of the bright flowers and the vivid blue sky makes for a great photo. 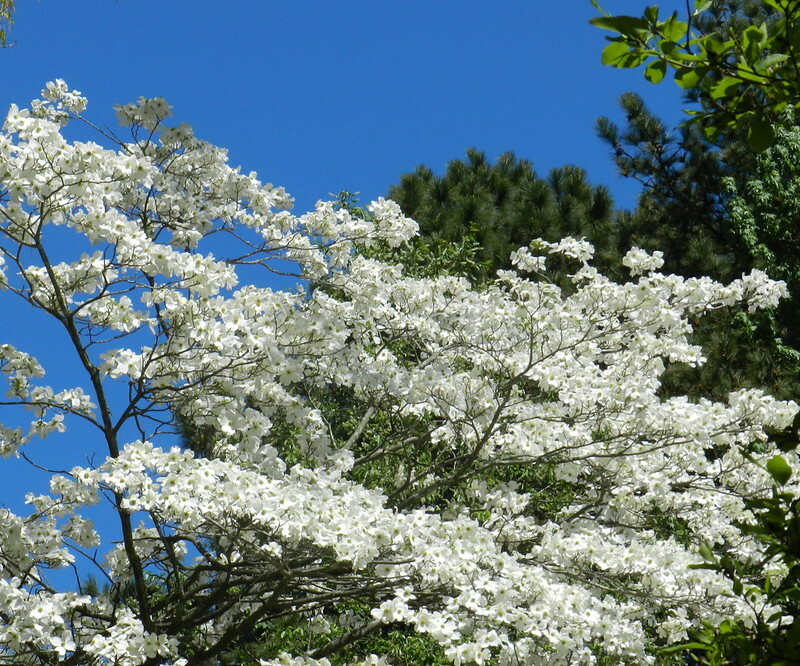 What a glorious dogwood against the blue, blue sky. Looks like you are having a magical spring. SOOO beautiful! I really miss dogwoods. They look stunning against that blue sky!